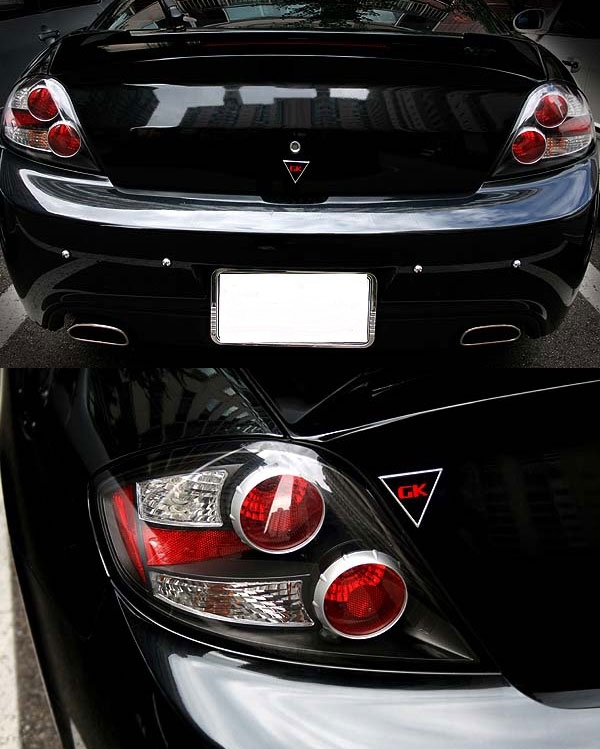 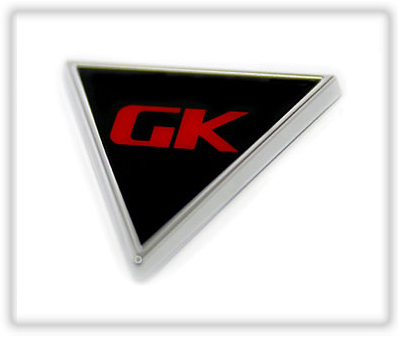 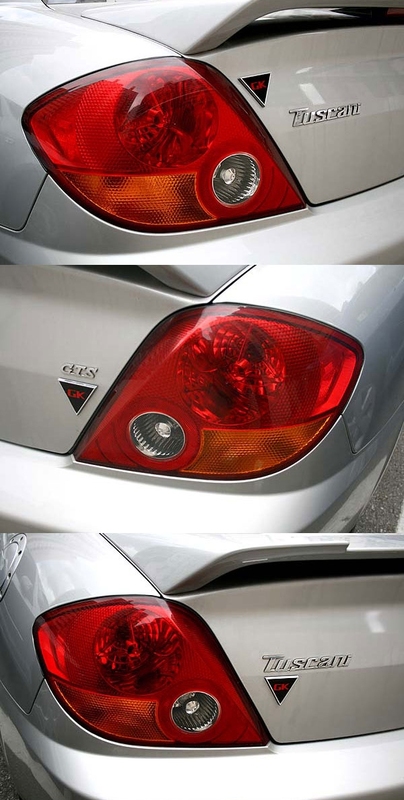 Triangle style "GK" emblem for your 2003-2008 Tiburon/Tuscani brings unique styling to your car. 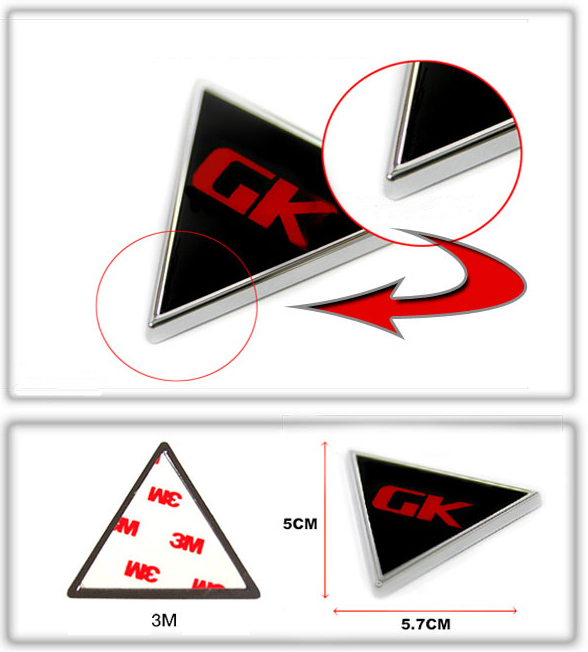 This emblem can be placed in many location on your car--replacing the OEM Hyundai "H" emblems, or added to the trunk, fenders, etc. 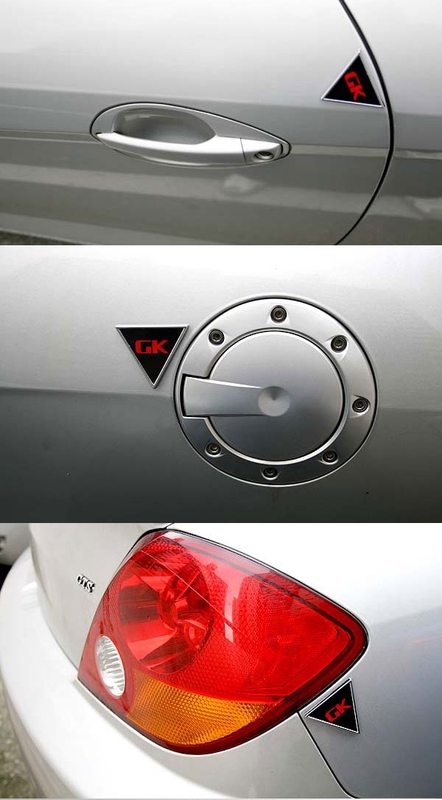 Installation with included adhesive backing.